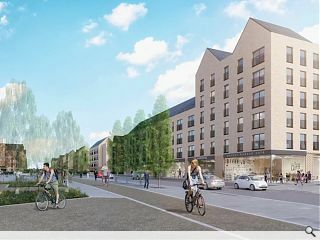 Regeneration of Glasgow’s Sighthill district could take a step forward this Thursday - when Glasgow City Council is expected to appoint Keepmoat Homes as preferred developer for 826 new Collective Architecture and LDA designed homes, including 198 to be made available at mid-market rent. 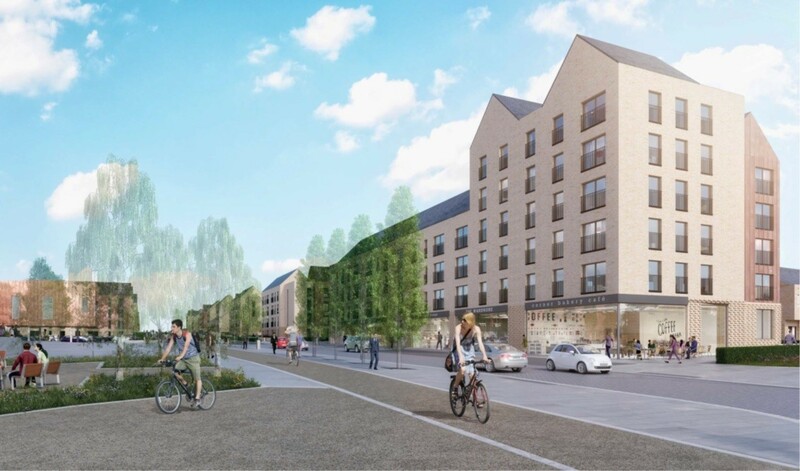 The £100m project will include retail and commercial components as well as a footbridge across the M8, a road bridge over the railway to Port Dundas, a community campus and newly landscaped parkland, augmenting 141 existing homes newly built for Glasgow Housing Association. Construction of the full masterplan will take a decade although infrastructure work; including the updated public park, new school and twin bridges, should be complete by late 2019. 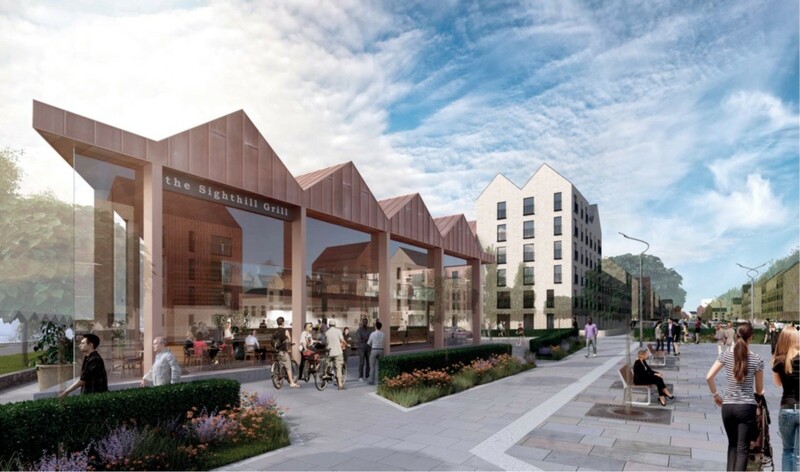 It's cute the architect has provided images of cafes, a grill and a clothes shop taking up the retail space. I guess a bookies can have tea and coffee making facilities, a charity shop can sell the clothes and an Italian BMT can be grilled in Subway. Good effort by Collective. Let's hope it isn't value engineered to death and remains fairly true to these renders. @1 Don't be a pessimist. A positive state of mind is half the battle, my friend. Nice bit of classism there, #1. Perhaps for your next insight, you can tell us how the images are missing giant satellite dishes or blood from stab wounds. This is an infinitely nicer living environment than what was there before. The only pity is that the masterplan will take a decade to deliver. For god sake.... this site is awful. 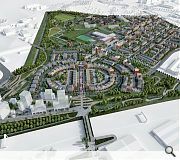 It hanse connection to the wider area, no public transport and will render a poorly connected island where people will have to choose between some crappy bus service, driving or walking over the busy motorway to get to any other part of the city. Why is this being regenerated? there are so many better parts of the city that could be transformed. Tradesmen for instance. It has underground rail links, is in walking distance of the centre..... These peripheral developments are what caused Glasgow's decay in the first place. Don't repeat history. From the picture I take it imagination wasn't a prerequisite for winning the contract. 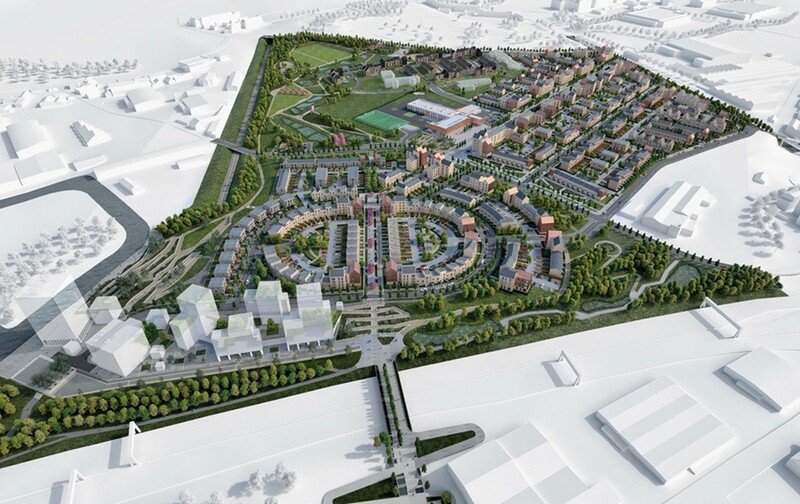 They could open a train station to connect Sighthill to the city centre. It's on the line but might not fit in with decrease in journey times from Waverly to Queen st. Agree that this is a vast improvement on what looked like an Eastern block town. Hope they have managed to deal with the smell that hung about there. 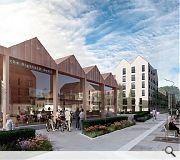 There are plans for Tradeston and I believe they are underway.